Who else has offered their support? The Kröller-Müller Museum can also be found in Google Art Project, a worldwide project with over 150 partners in 40 countries. 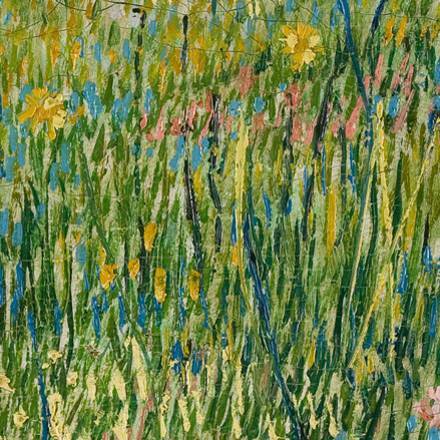 With a few simple mouse clicks you can zoom in to minute detail on masterpieces from our collection, including Le Chahut by Georges Seurat and Self-portrait by Vincent van Gogh. Zoom in on our masterpieces at Arts and Culture. Open Tuesday - Sunday plus public holidays*: 10.00 - 17.00 hrs. Sculpture garden: 10.00 - 16.30 hrs. Closed: Mondays and 1 January. *Public holidays: Easter Sunday and Monday, Ascension Day, Whit Sunday and Monday, Christmas Day, Boxing Day, King's Day (27 April), Liberation Day (5 May). Do you wish to receive information about the activities at the Kröller-Müller Museum? Subscribe to the digital newsletter.